Soon it will be hats off, but fur now my 3-Ds are still attired in winter chapeaux, and their little furry furiends are following suit. The weather is warming up, but it's not quite Spring yet. Dante has chosen a lighter weight headwear in green wool plaid (how dashing!). His lime green and black scarf is silk and is more for pizzazz than anything. His little squirrel companion still wants something heavier that will protect his ears from frostbite because he's outdoors 24/7. But, believe me Cyril can't wait until all he needs is his parasol to keep the sun off his face, once again! Dylan has selected something a little warmer. 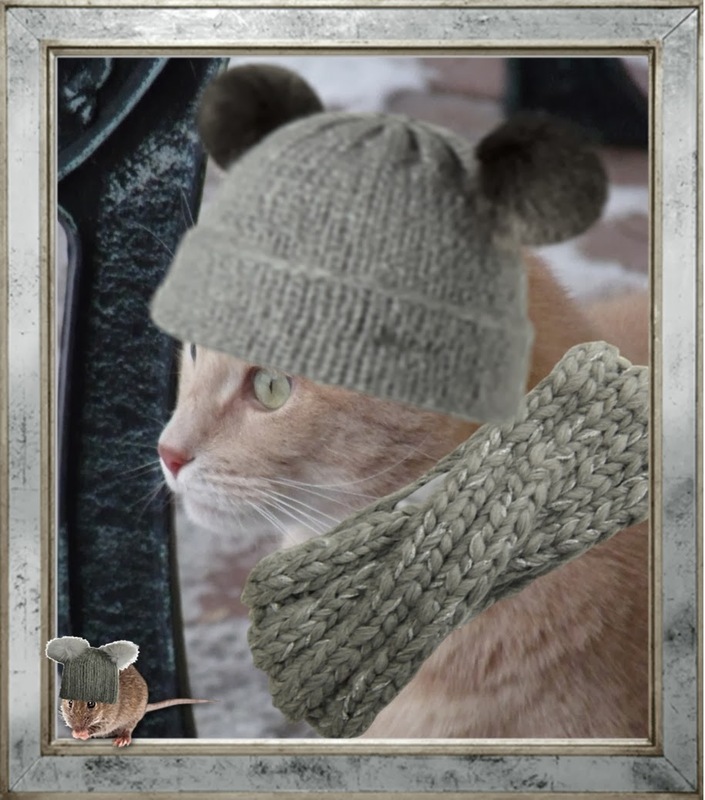 He's very cozy in his gray wool knit hat with mouse ears and coordinating light gray infinity scarf. 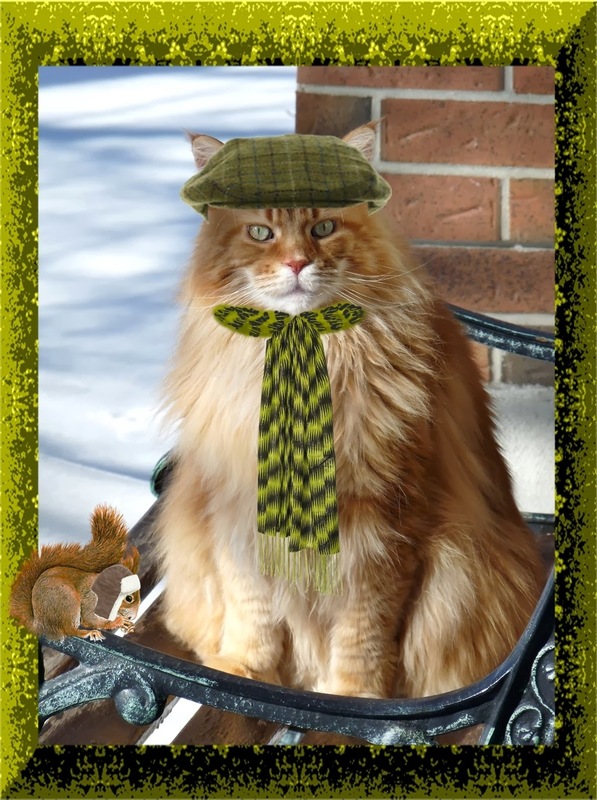 He saw his mate, Maximouse, in a similar hat and thought it looked stunning against his light brown fur. It seems that Dylan's just a 'copy cat', after all. "Max comes from a long line of millinery mice, so he knows a top hat when he sees one!" rationalizes Dylan. 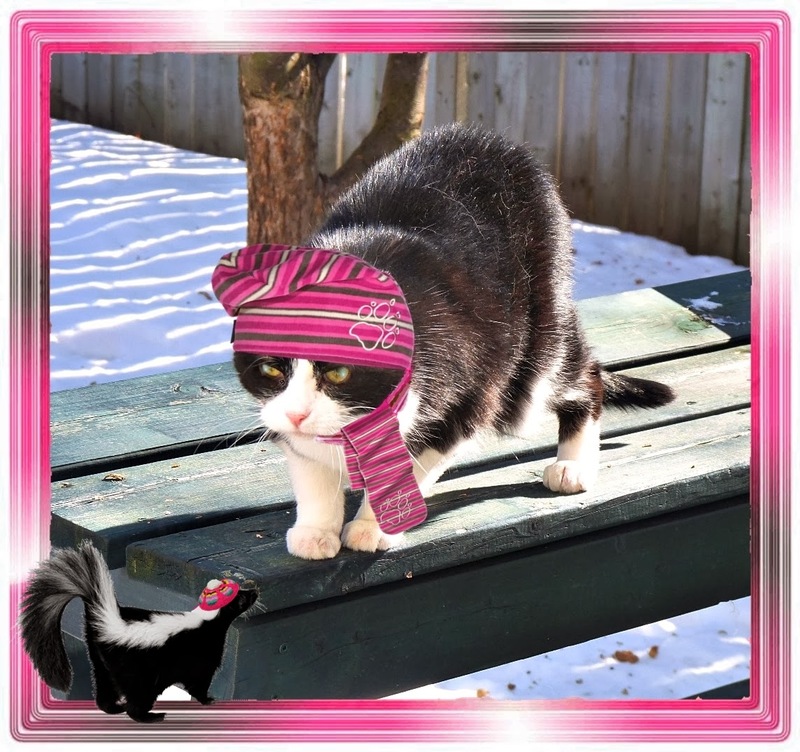 Domino is very fashion forward in hot pink with stripes and 'paws for effect'! Her skunk furiend (who Domino thinks is a kitten) looks at Domino admiringly, and tries to emulate her as much as possible. "Wen yoo grows up", says Domino to Misty, "yoo kin make up yoor own mind, but pink reely is yoor colour, dear. Pink looks good on Winter complexshuns like ours." "I likes pink cuz it duzn't stink!" says Misty as she sprays herself for good measure. It seems hats aren't just for cats, after all. DYLAN KEEPS AN EYE ON THINGS! 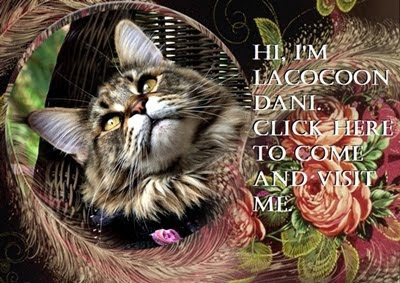 DANTE & DOMINO: CATTIER THAN EVER! 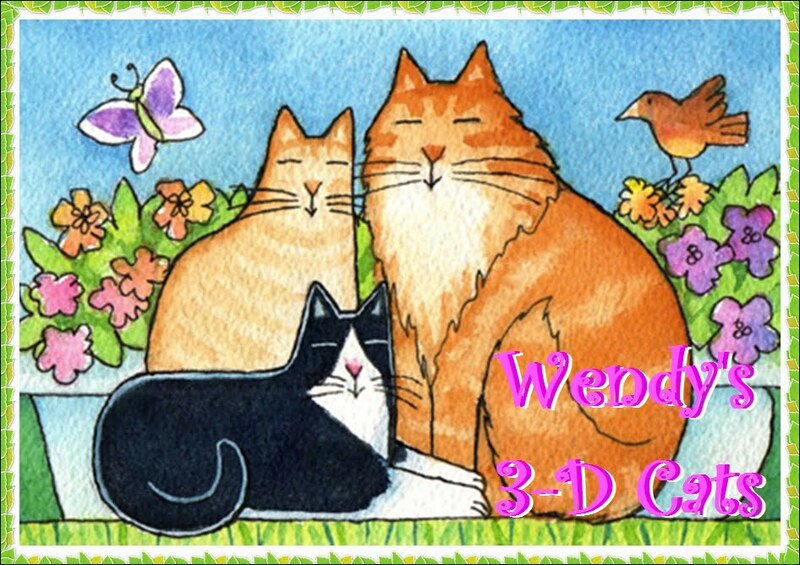 A VALENTINE'S DAY OF OLYMPIC PURRPORTIONS! DYLAN & DANTE: IT'S ALL DOWNHILL FROM HERE!